Next week, April 24th-30th, is National Medical Laboratory Professionals Week. It doesn’t mean a whole lot to the rest of the world, but it’s supposed to be a week to celebrate the contributions of laboratory professionals in healthcare. Mostly, it’s confined to the hospital, and we have silly contests and potluck dinners and there’s a blurb about the lab in the newsletter. We have fun and then go back to work. But I see Lab Week as an opportunity to educate. 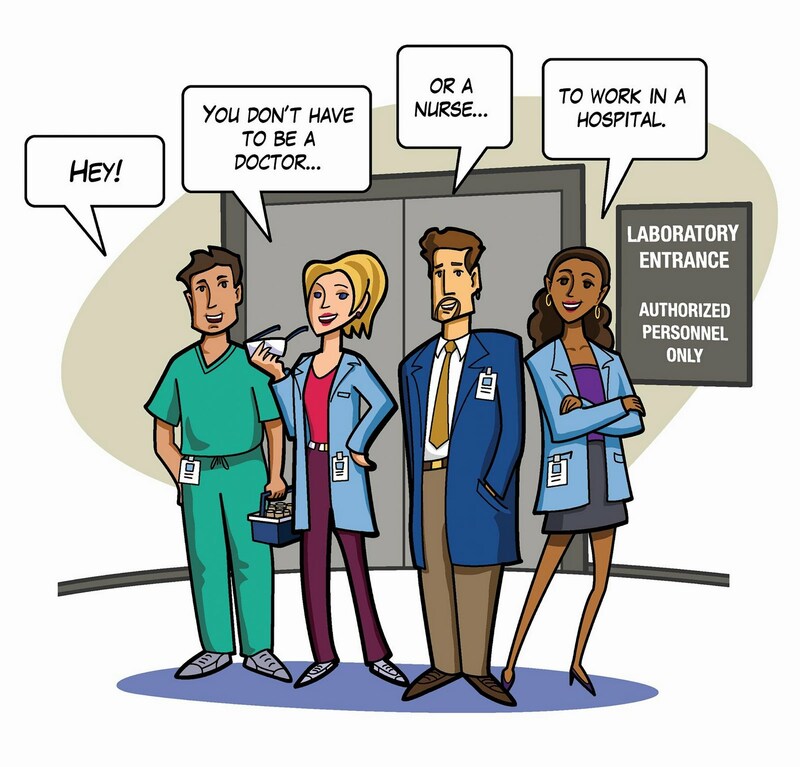 The laboratory profession is a very anonymous one – we’re hidden in the basements of most hospitals, patients and families never see us, and yet we affect their care so much. Medical technology schools are closing down due to low interest, yet the profession is due to lose thousands of people to retirement in the next few years. It’s a sure bet for a job, in one of the few fields that’s actually growing, and yet very few people are aware it exists. Most of the other allied health professions have a similar visibility issue, so we’re not alone… but I feel like as a group, we need to make ourselves more visible and get noticed. So this year, for lab week, I made a slide show about the medical laboratory profession. I toured the lab and took pictures of my coworkers in action, and showed the many things we do in the lab every day, and made a quick movie out of it. I am proud to say that my work will be made available on the hospital’s intranet system for everyone to look at. I’m a little nervous because it’s just a dinky Powerpoint show, since I don’t have any skills past that level, but I hope it helps to inform some of my hospital coworkers about what happens to the tubes of blood once they get stuffed into the pneumatic shuttle system. I’m currently trying to tweak it to share it on YouTube so my friends and family can see it, and hopefully I can get that done over the weekend, in time for Lab Week. This entry was posted in Uncategorized on April 23, 2011 by antijen.